1. Preheat the oven to 400 degrees Fahrenheit (204 degrees Celsius). 3. Drizzle the chicken with either melted butter or olive oil. 4. Sprinkle the chicken with salt, pepper, garlic powder, paprika, and oregano. 5. Bake for 25-30 minutes, until juices run clear when the chicken is pressed down with a fork. Serve alongside a side of potatoes or sweet potatoes or rice or squash and something beautifully green. Family “gustar” report: 100% success rate. Everybody approved. Super delicious and super easy. If you want to make it even better, then consider pounding your chicken. But this adds a little more mess, work, and time. I am in fifth grade, and I make this for the family myself. Warmest wishes for health and happiness from our kitchen to yours–from our family to yours! 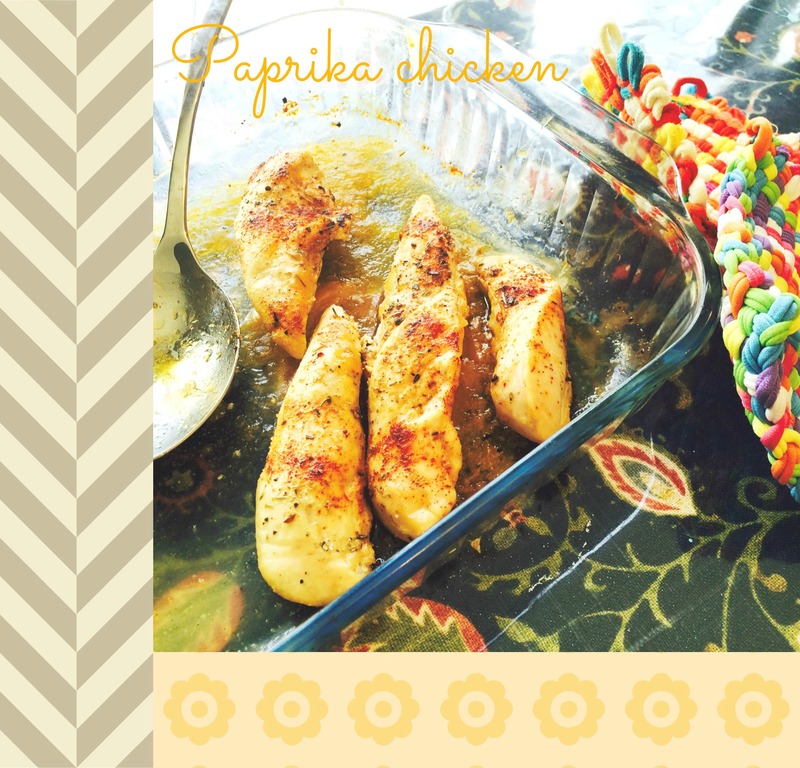 This entry was posted in Dairy-Free, GAPS, Gluten-Free, Paleo, Recipes and tagged chicken, dairy-free, easy weeknight dinner, gluten-free on May 7, 2015 by thehomeschoolingdoctor.